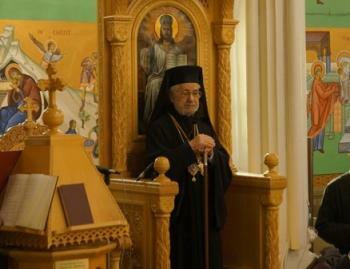 We were saddened to learn that His Beatitude Ignatius IV, Patriarch of Antioch and all The East was taken to St. George Hospital in Beirut yesterday after suffering a stroke. He is currently in critical condition at St. George Hospital. We ask all of the clergy and faithful of this Archdiocese to pray fervently for His Beatitude. I am sad to report that His Beatitude has reposed. May his memory be eternal.